Discussion in 'Articles' started by E.T., Apr 6, 2017. Hello, and welcome to the April edition of PO (Pokémon Online) News! Once again, there have been many tier changes over the past month such as the release of more mega stones and several suspects. 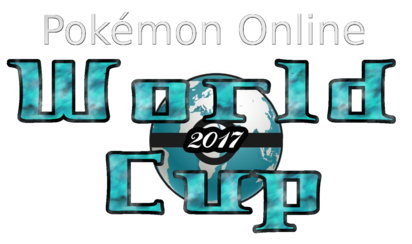 Official Tournaments have been busy as well; the POT (Pokémon Online Tournament) is almost over, and the POWC (Pokémon Online World Cup) for 2017 is underway! This edition of PO News covers all of the recent tier shifts and current suspects, tournaments, server news, and more! Pidgeotite and Steelixite have been released in Sun and Moon, which means that Mega Pidgeot and Mega Steelix are now available to use in SM UU and the main tiers above it. The Alakazite suspect resulted in a ban. Mega Alakzam's extremely high Special Attack and Speed led to it being too overwhelming for SM UU. The combination of Psychic, Shadow Ball, and Focus Blast gave it perfect coverage, and its fourth move usually varied between Substitute, Encore, or Taunt. Trace made Mega Alakazam even more threatening by allowing it to copy abilities such as Levitate or Sheer Force. Porygon-Z and Conversion were suspected due to Z-Conversion, which allows the user to get a +1 boost in all stats while also changing its type to that of the move in its first move slot. Popular ways to utilize this strategy included changing Porygon-Z to an Electric-type and using BoltBeam coverage or changing Porygon-Z to a Ghost-type by using Shadow Ball as a primary STAB move. Ultimately, Conversion was banned instead of Porygon-Z because Conversion can only be used by the Porygon-Z evolutionary line and Smeargle, and Z-Conversion Porygon-Z is the only Pokémon that would realistically use it. Latios was suspected as well due to its offensive capabilities, which include Life Orb-boosted Draco Meteor and Psyshock. While Steel-types resist this combination, Draco Meteor can still issue considerable damage, and Latios has several coverage options such as Hidden Power Fire or Earthquake. Latios's Dragon and Psychic typing blesses it with several resistances, which allows it to perform well as a hit-and-run Pokémon. The Meditite suspect resulted in a ban. Meditite's Pure Power ability allowed it to reach a daunting 28 Attack. Meditite is able to fully utilize its Attack stat well with STAB moves like High Jump Kick, Drain Punch, and Zen Headbutt. The elemental punches, Thunder Punch, Fire Punch, and Ice Punch, are in Medite's arsenal as well. Meditite's Speed is mediocre, but it has access to priority in the forms of Fake Out and Bullet Punch to make up for that to an extent. Meditite is simply too powerful and too difficult to wall in SM LC. Gothita's Shadow Tag ability allows it to systematically eliminate foes that Gothita's teammates need to be removed. With Eviolite, Calm Mind, Psyshock, and Rest, Gothita can eliminate bulky walls like Spritzee. With a Choice Scarf, Gothita can be an effective revenge-killer, and it can take out Pokémon such as Mienfoo and Chinchou, which would normally be able to U-Turn / Volt Switch and escape. As a result, Gothita was suspected and banned from SM LC. The Tapu Lele suspect in Monotype concluded with a ban. Tapu Lele's Psychic Surge ability generates Psychic Terrain which boosts the power of Psychic-type moves and blocks priority. Because of the Psychic Terrain, Tapu Lele can be difficult to switch into for teams that lack a bulky Steel-type. Psychic and Fairy teams also appreciate the support offered by Psychic Terrain, which protects frail sweepers like Mega Alakazam from priority while also boosting the power of Psychic moves. Tapu Lele can also be difficult to predict because it has the versatility to run Choice Specs, Choice Scarf, and Z-Move sets. The abilities Moody, Inards Out, and Water Bubble have been banned from SM Balanced Hackmons. The reasoning behind the Moody ban is similar to the reason why Moody is banned in main tiers: it introduces an unreasonable amount of luck to the battle and has the possibility of increasing the user's evasion. Innards Out is an ability introduced in Generation 7 that deals damage to the foe equal to the user's remaining HP before being KO'd. The main problem with Innards Out in SM Balanced Hackmons is that any team member can have the ability and can get a surprise revenge-kill on an opposing Pokémon. Water Bubble was banned for being too difficult to wall. Water Bubble doubles the power of Water-type moves, which can make moves like Water Spout unreasonably difficult to wall without the use of a Pokémon with an ability that makes it immune to Water, such as Desolate Land or Storm Drain. Pheromosa is the first suspect of SM OU. Pheromosa's base 137 / 137 / 151 offenses allow it to be threatening as both a physical and a special attacker. Pheromosa is extremely versatile and has sets ranging from Quiver Dance sweeper to mixed Life Orb attacker to Choice Scarf. Its Beast Boost ability can either give it a Moxie-like boost to its offenses to facilitate a sweep or a Speed boost to make it harder to revenge kill, depending on its highest stat. Ultimately, there is a shortage of reliable switch-ins to Pheromosa. The suspect discussion is currently leaning in favor of a ban. Drizzle is a necessary and potent element of rain teams. With Drizzle support, Pokémon such as Kingdra, Kabutops, and Ludicolo can become threatening sweepers due to their Swift Swim ability and the power boost given to their STAB Water-type moves. Other Pokémon such as Thundurus and Tornadus-T also appreciate Drizzle support because it allows them to use Thunder and Hurricane with 100% accuracy. Jirachi has the ability to fill a variety of roles. It can support the team with Stealth Rock, Healing Wish, and Wish and act as a check to multiple threats thanks to its Steel / Psychic typing. It can act as a revenge-killer and Serene Grace annoyance when equipped with a Choice Scarf. In addition to these roles, Generation 7 has given it the ability to act as a Z-Happy Hour sweeper. Z-Happy Hour boosts all of the user's stats by one stage. This boost can give Jirachi the Speed and power to mow through opposing teams, and for bulkier Pokémon that it fails to KO, it has a favorable chance of flinching them with Iron Head. The SM OU Inaugural POT (Pokémon Online Tournament) has reached the final round, which features @Edna vs @Mr. Perry vs @Erzengel. The stakes are high, as first place will be awarded a $60 prize, second place will be awarded a $30 prize, and third place will get $10! Let's take a moment to review how these players made it here. In Round 1, Edna defeated Leru in a 2-0 series. Edna was fortunate enough to get a BYE in Round 2 due to an error with the bracket. In Round 3, Edna defeated Xinc in a 2-0 series. Edna ran into trouble for the first time in Round 4 against Void but emerged victorious in a 2-1 series. Finally, in the Semi-Final match that seemed to take ages to complete due to scheduling conflicts, Edna defeated Tony in a 2-1 series. Mr. Perry started the tournament with a sub that was never filled. After making it past an inactive Duncajuwon and Mael in Rounds 2 and 3, respectively, Mr. Perry defeated Adam the First in a 2-1 series in Round 4. Finally, Mr. Perry shocked most of us in the Semi-Finals by defeating MetaMence in a 2-1 series, and it was all thanks to remembering to train his Pokémon how to dodge Hydro Pump. After making it past Cameltoed in Round 1 and Xian, who sadly never returned to the forums after joining, in Round 2, Erzengel defeated Arifeen in a 2-0 series in Round 3. In Round 4, Erzengel came out on top in a close 2-1 series against Drachenrot. Finally, Erzengel outlasted Eternal Spirit in a 2-1 series in the Semi-Finals. As of now, the match between Edna and Mr. Perry has been completed, and Mr. Perry emerged victorious in a 2-1 series. Mr. Perry has also battled Erzengel, and Erzengel won in a 2-0 series. This means that Erzengel vs Edna will either result in Erzengel being crowned the winner if Erzengel wins or a three way tie if Edna wins, in which case the matches will be repeated. Update: Thanks to some significant hax on the final turn of the first battle, Erzengel defeated Edna in a 2-1 series and is the winner of the SM OU Inaugural POT! Congratulations Erzengel! The POWC (Pokémon Online World Cup) 2017 is underway. The POWC is an official tournament in which players from all over the globe represent teams on a geographical basis. Teams are divided into two groups that play each other in a round robin format. Each round, the teams play in the tiers SM OU (x3), SM Ubers, SM UU, SM LC, ORAS OU, BW OU, DPP OU, ADV OU, GSC OU, and RBY OU. At the end of the round robin phase, the two teams with the best records from each division advance to the playoff, and the team that wins the playoff is crowned POWC champion. After the first week of play, Brazil and Greece lead the Group A standings after each winning a 7-5 series against USA East and Germany, respectively. Canada and European Union are tied for the third spot in Group A after their series with each other ended in a 6-6 tie. Meanwhile, France had a BYE week for the first round. In Group B, Asia-Pacific and Spain emerged at the top spot for this first week with decisive victories; Asia-Pacific trounced Latin America in a 9-3 series, and Spain trounced USA West in a 9-2 series. A tie also occurred in Group B, but this time it was between China and UK and Ireland. Italy had a BYE week in Round 1. The matches for Round 2 are as follows: European Union vs USA East, Canada vs Brazil, Greece vs France, Latin America vs USA West / Central, Asia-Pacific vs Spain, and China vs Italy. Germany and UK and Ireland have a BYE week for Round 2. The National Championship of Alola League is getting started in the Tournaments subforum. The NCA League is a draft tournament in which players will draft Pokémon to use on their team and then battle each other in a round robin format. Players will have a selection of 11 Pokémon when the draft is complete, and they must choose from these 11 to build teams for the tournament. The Ubers Pentathlon has progressed to Round 3. Currently, @White Lion18, @Leru, and @チャンピオンワタル are the only remaining players in the winners bracket, but there are still several users who have the chance to make a comeback from the losers bracket. Meanwhile the SM Balanced Hackmons Experience Building Tour has progressed to the Semi-Final round, but the format has changed from round robin to best-of-three elimination. The Semi-Final round features @jinwengong vs @Infa and @チャンピオンワタル vs @willdbeast. A few tournaments have concluded since the last edition of PO News, so the winners of these tournaments will be announced at this time. The winner of The First Gen 7 Monotype Tour! was @Atli! The winner of the SM LC Kickoff Tournament was @inmo! The winner of the Random Team Tournament was @Annoying Orange! Congratulations to all the winners! It's time to announce the winners of the March leaderboards! On the regular leaderboard, @HSOWA finished in first place with 213 points, @That boy finished in second place with 170 points, and @diamondslight has become a resident of the third place position with 91 points because this is the third consecutive month that diamondslight has claimed the bronze. On the event leaderboard, @HBC dethroned electraheartcomplex to finish in first with 10 points. @electraheartcomplex did not fall far though, placing second with 9 points. Not far behind, @That boy claimed third place with 8 points. Congratulations everyone! It is time to announce who finished with the most points on the Trivia leaderboards! The player who finished in first place on the knowledge leaderboard was @Suhnny with 91 points. First place on the speed leaderboard was claimed by torooru for a second straight month, and he improved his score to 19.5 points. The player in first place on the event leaderboard for the third consecutive month was @M. Bakhsh with 245 points. Congratulations everyone! 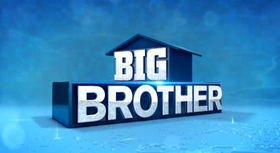 Big Brother is a game in the Forum Games subforum that is based on the Big Brother TV show. Players have had the opportunity to earn monetary prizes by winning various challenges, such as battling, playing Trivia, solving riddles, and playing Mafia. The game has been ongoing since November, but it has finally concluded. The final three players, @Hurricane, @EvilDingoRobot, and @DracoNova, competed in the longest challenge yet, which consisted of three stages of questions based on events that happened throughout the game. Hurricane emerged from the challenge as the victor and used this opportunity to eliminate DracoNova, which meant that Hurricane and EvilDingoRobot had to stand before the jury members who would vote to determine the winner. After a very close 4-3 vote and many dinner-related questions, EvilDingoRobot was crowned the winner of the first Big Brother game on PO! JoyFrost, HBC and Joyverse like this. New megas hype! Mega Medicham and Mega Audinite are now usable! Joyverse, Hassin627, Jethalal and 4 others like this.